A well-planned room addition can enhance the style of your home as well as provide newfound space, comfort and livability. There are many reasons for adding living space to your home. Perhaps your growing family needs another bedroom or bathroom. Maybe you are starting a business and need a home office. Or maybe your spouse has been dreaming of a beautiful new kitchen! Whatever the reason, an addition to your home may solve your living space requirements. As you plan your addition project, it is important to ensure that the construction of your room is safe, meets State and local laws, and is carefully estimated to fit within your budget. Many homeowners hire a residential architect to help them through the project design and construction process. Adding on to a house can be disruptive to your life, your household operations, your personal finances, and your family relationships. But the design and construction process can also be exciting and gratifying as you see your plans come to fruition! Furthermore, you may realize substantial savings by building a room addition instead of relocating and incurring real estate transaction costs. The two basic types of room additions include horizontal additions and vertical additions. If you have space and necessary clearances on your property, a horizontal addition to the main living area of your house can greatly increase its comfort level and usability. Horizontal room additions generally require new footings and foundations to support the new space. If you have a small lot, you may be limited to adding an upstairs bedroom or bathroom. This could involve raising your roofline or extending your roof with a shed or gable dormer. If your budget does not permit an expensive addition, you may be able to add a screened porch or sunroom more economically. These "3-season" rooms may not require central heating or air conditioning. On RoomAdditions.us, you can find step-by-step guidelines for adding space to your home, including design options and planning considerations as well as building permit requirements, budgeting, and project management. The site also features access to selected home remodeling services, home improvement products, and addition planning resources. This home improvement products retail chain offers home design and home remodeling services. This home improvement products store chain features a broad selection of home furnishings products. Compare kitchen cabinets from major manufacturers and find kitchen installers in your area. This directory of leading bathroom fixture manufacturers also features popular bathroom furnishings and accessories dealers. Compare a wide range of lighting fixtures and ceiling fans for every room in your home. Get quotes and compare home improvement loan rates for your remodeling project. This book covers the problems you are likely to encounter when converting basements, attics, garages, and adding rooms to existing houses — from the footings to the roof. This book features field-tested techniques for adding on to your home. 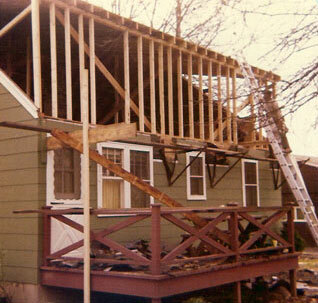 Adding onto a house presents builders and remodelers with tough challenges. Whether you are framing a roof, tying into an existing foundation, or finishing out the room over a garage, it helps to get expert advice up front. This Better Homes and Gardens book is a valuable resource for planning a stylish addition that matches your needs and budget. This book is especially helpful in the early stages of planning a home addition. Whether you hire a pro of do it yourself, adding on to your house is a major experience. This helpful Ortho guide can help you manage your home construction project more efficiently. This book explains the roles of the architect, designer, builder, and subcontractors who will work on the addition you plan to build. It is an information-packed resource that will be valuable to anyone who is considering building an addition. Advice on home improvement topics, including how to find a competent and reliable contractor. Consumer advice and guidance about adding space to a home, including discussions of remodeling styles and regulations. Whether you plan to hire a contractor or do the work yourself, this section of the Better Homes and Gardens website provides essential information about renovating or adding to your home.